Sydney, Australia – 3 December 2013 – Altium Limited, a global leader in Smart System Design Automation, 3D PCB design (Altium Designer) and embedded software development (TASKING), announces the release of, Altium Vault Server Version 1.2 and all new product Team Configuration Center (TC2). Hosted on an organization's own network infrastructure, the Altium Vault manages native electronic design data, including its revision history, life-cycle state and supply chain information. This new release adds ability to migrate data from one vault to another, and enhanced support for connecting to corporate enterprise systems, such as ERP and PLM. Altium Vault Server ensures that files released to manufacture meet release requirements and approvals. Additionally, re-used design elements offer a proven track record, so components being designed-in are viable for the lifecycle of the product. Organizations have a clear understanding of the upstream and downstream effects of the deprecation of any of these elements using powerful “where-used” capabilities. - Traceability and Where-Used Information through disciplined revisioning. - Shortened design cycles through design reuse. - ​Risk reduction through smart supply chain intelligence during design time, not after where it is most costly. 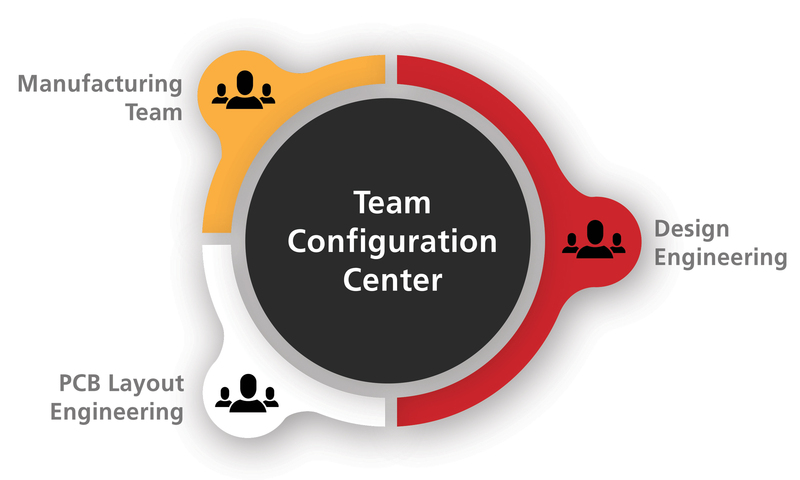 Based on Vault technology Altium’s new Team Configuration Center (TC2), helps organizations centralize and standardize their design environment. Everything from design tool setup and configuration to document templates and manufacturing file formats, can be set up and automatically deployed to each engineer’s desktop. This is a significant development, because failing to maintain a standard set of design styles and tool set-ups has an often overlooked impact on team productivity. The Altium Vault Server and TC2 are a separate licensing options, pricing is based on an individual organization’s needs. TC2 can be installed standalone or integrated with the Altium Vault Server.